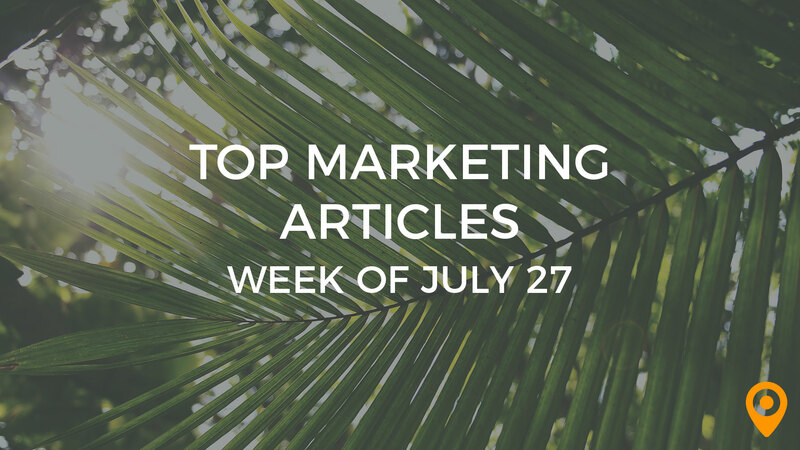 This week’s roundup includes tips to use emojis in your Email Marketing strategy, improve engagement on Social Media, and keep pace with Google’s Mobile first indexing. Learn how to use writing as an effective tool for lead generation, and create Local listings for your business. We’ve covered all of this news and, much more, below! This week’s Agency Framework discusses how successful digital agencies are born and the paths they take to growth. Alex Cascio shares the three ways to optimize your sales funnel with Videos. Tune into one of these top 20 Digital Agency podcasts for industry tips, news, and creative inspiration. Learn how to create blog Content for improving your SEO efforts, from Jose Angelo Gallegos’s blog. Lisa Murton Beets discusses how strategies such as streamlining your workflow and building an audience, can improve the performance of your Content Marketing campaigns. Ankush Mahajan highlights the emerging trends to help Content Marketers reap maximum benefits. Jeff Keleher draws special attention to the lessons from expert Content strategists for helping marketers boost their Content Marketing efforts. Learn how to improve your business using Conversion paths, from Matt Stewart’s blog. Madeline Blasberg offers guidance to increase Conversions, improve your website’s authority and create time honored trust. Kelly Shelton offers valuable tips to use writing as an effective tool for lead generation. Follow the valuable tips from Eric Sachs to enhance your Email Marketing efforts. Learn how to use emojis in your Email Marketing strategy, from Monica Vargas’s blog. Anil Kumar discusses how personalization, engaging subject lines and simple content can improve your Email open rates. Alicja Skopinska offers guidance to get back customers from your abandoned browsing Emails. Amy Copadis lists the steps to create Local listings for your business at all the required places. Follow the tips from Erin Lamb to keep pace with Google’s Mobile first indexing. Oleksiy Kuryliak draws special attention to the benefits of having a Mobile friendly website. Carissa Ratanaphanyarat discusses how Google’s Mobile speed update can impact your website. Learn how to build a positive Online Reputation using social media, from Jonas Sickler’s blog. Jackie Katz highlights the significance of Online Reputation Management in today’s scenario. Jobin John highlights the main reasons for decrease in Organic traffic and offers guidance to help marketers improve Organic traffic. Shruti Pangtey offers beginner SEO tips to improve SEO rankings. Learn why it is imperative to maintain the right density of keywords and create relevant content in SEO, from Burt Steingraeber’s blog. Allen Simpson offers guidance to help marketers improve engagement on Social Media. Yasmin Bendror lists the benefits of using Social Media for businesses. Avery Phillips discusses how Social Media can create awareness of your brand. Anastasiia Marushevska highlights the significance of UX Writing in today’s scenario and offers guidance to help marketers acquire the skill of a UX Writer. Learn how to create a compelling User Experience for your customers, from Dan Tynan’s blog.